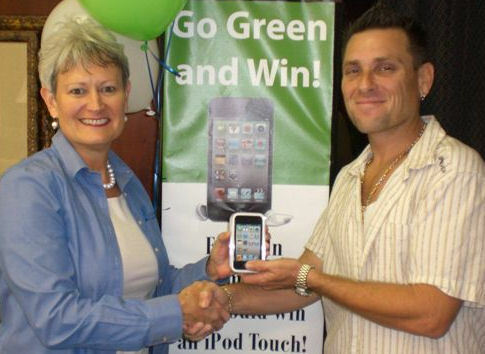 Congratulations Douglas Krane, winner of an iPod Touch in our “GO GREEN and Win!” E-Statements promotion. Way to GO GREEN Douglas! Click here to learn how you can GO GREEN. This entry was posted on Friday, April 15th, 2011 at 9:05 am and is filed under Uncategorized. You can follow any responses to this entry through the RSS 2.0 feed. You can leave a response, or trackback from your own site.